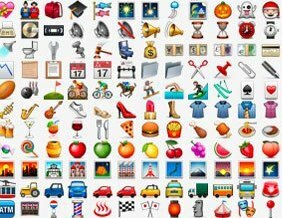 Yesterday, the Unicode Consortium thrilled users of that modern hieroglyphic language iPhone users are obsessed with by announcing 250 new emoji. But if you were hoping for a hot dog emoji, or heck, even a taco, you’ll be sorely disappointed. There is a “Reversed hand with middle finger extended” that might come in hand to express yourself right about now. While the consortium didn’t compile an easy list of those 250, the Washington Post took it upon itself to do so, so you can see if your favorite made it (you can also check the Emojipedia). “Why would you promote anger when you could be promoting the food of the people?” says one person I happen to know who was fervently wishing and hoping for that hot dog. While I don’t have an answer for her, there are apparently more pressing needs in the world of emoji expression — like who hasn’t dreamed of a chipmunk to discuss Alvin And The? Or heck “Old personal computer,” for those nostalgic discussions about um, old PCs. “Man in business suit levitating” will surely come in handy when it’s time to tell people you’re skipping that whole dying thing and ascending straight to heaven for your work in businessy stuff. It’s now up to Unicode member platforms (read: Apple and Android) to implement the new standards and develop their own pictographs for each new emoji. All I can say is thank goodness Notched Right Semicircle With Three Dots is on there or I would lose my damn mind.